I have been visiting Afghanistan regularly since 2011, working with a nonviolent Afghan youth peace group, recording my general observations, and creating campaigns to keep the ongoing Afghan war within the awareness of UK citizens. I have made 9 trips so far. I’d say Kabul has changed considerably over the last seven years, there’s a lot more construction taking place, new buildings seem to pop up overnight and the city seems to have become increasingly busier, there’s a strong feeling that it’s bursting at the seams. 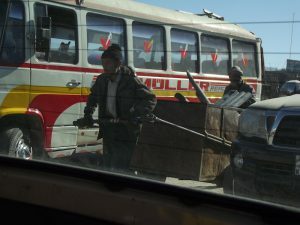 When the US and NATO invaded in October 2001, the population of Kabul was 1.5 million, but today that figure stands at 5 million (1) with so many war-displaced flocking to the city for safety, as it is one of the few locations in Afghanistan with no direct fighting between the military forces, the Taliban and IS. That’s not to say that Kabul is in any way safe, (2) with weekly suicide bomb attacks, sporadic street violence, and a small industry of abductions for ransom being common threats. When I first started visiting it was relatively fine for me to walk the streets even though a foreigner, but today my teenage friends earnestly advise all visitors against walking anywhere, urging the hire of taxis for even 5 minute walks. The biggest danger for a foreigner is kidnap (3), while the biggest worry for everyone is being in the wrong place at the wrong time. My friends in the Afghan Peace Volunteers (4) live in Karte Se – District 3 – a relatively mixed residential area within Kabul. Taking a short walk to the local bazaar gives you a snapshot of the some of the many problems gripping Afghanistan. The opportunity to venture out is rare and very exciting, the bustle of Kabul street life is intensely stimulating on the senses, the echo of recorded announcements from tannoys which are strapped to carts selling juicy oranges from Jalalabad, or towers of pomegranates from Kandahar, or cauliflowers bigger than your head. The blue cloudless sky and bright sunlight is blinding, the spectacular Hindu Kush mountains in the background look unreal, as though someone had cut a picture out of the National Geographic and stuck it behind a very busy city scene. Most of my shopping experiences are to Karte Seh’s “Red Bridge”, from which much of the red paint has now been chipped away (it’s generally caked in dirt). The bridge is a hive of activity, though: it is a market. People compete for spaces, labourers sit with their shovels, waiting for work, representing an estimated 40% of the male population who are currently unemployed (5). A woman under a burka clutches a small baby bundled in rags, with her head bent and a begging-hand extended. I am told prostitution is a thriving industry, but what is under the bridge is even worse. The bridge once crossed a lush river where in the ‘70s children swam and people fished for their suppers, but today the riverbed is a dumping ground for uncollected rubbish, where a grey slug stream snakes around discarded water bottles, plastic bags and general detritus, and the people who have become addicted to opium. This is a popular congregation point for them; openly consuming heroin, their hands and gaunt faces black with dirt, their eyes vacant, because their souls have been robbed. Today Afghanistan has approximately 3 million people addicted to opium, a staggering 12% of the population (6) due mainly to the massive surge of the lucrative poppy cultivation industry after the start of the war. Today warlords dominate Afghanistan despite copious blood on their hands from unspeakable massacres during the war and in the decades before it; and many of these are now directing an opium industry which accounts for 90% of the world’s supply, up from only 27% before the 2001 invasion (7). This relatively new phenomenon catches Afghanistan with little-to-no infrastructure ready to cope with it, the rehab clinics being few and far between, and the reasons for wanting to forget all too obvious. 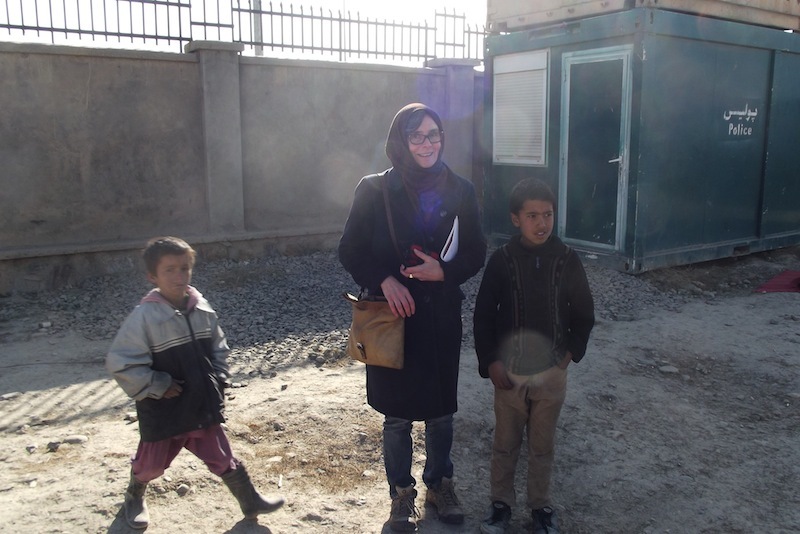 When in Kabul I usually make a point of visiting some of the refugee camps, of which there are now 50 in and around Kabul (8). For several consecutive years I have visited the “Charman-e-Babrak” camp which sits near a row of private health clinics, across a mud road with no laid surfaces so that cars often get stuck in deep pot holes, and cyclists ride in zigzags. In the last 7 years I’ve seen no improvements in that camp, it’s the same children walking around in the mud and snow with either no shoes or just sandals. The heavy stench of raw sewage immediately smacks you in the face upon entering the camp via a rickety makeshift corrugated iron bridge over the camp’s roadside moat, a torrent of raw flowing sewage. The houses are made of mud bricks and of scavenged bits of scrap iron and wood, with old bits of canvas stretched over to make a roof. 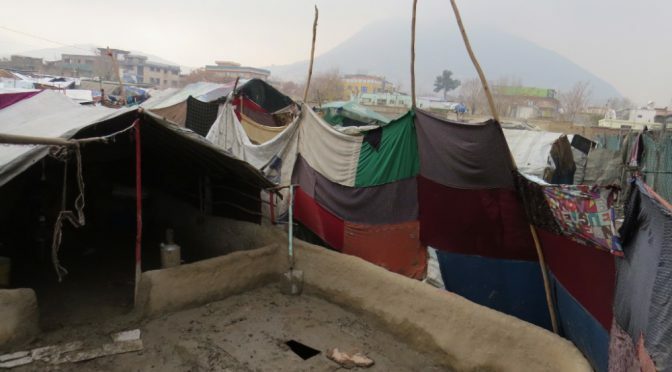 These are the conditions for some of Afghanistan’s 1.3 million internally displaced people, a staggering figure which threatens to steadily increase as more refugees are deported en-masse from Pakistan, Iran and Europe (9). To contextualize the Kabul camps, I should mention that I’ve spent time in the Jungles of Calais, and can confirm that they are a humanitarian disaster and a disgrace for the developed world; but in comparison to an Afghan refugee camp the Calais Jungle conditions are not half bad. Many Afghan camps receive little to no aid, they’re a nowhere land full of nowhere people, and generally a ‘no go’ zone for visitors. 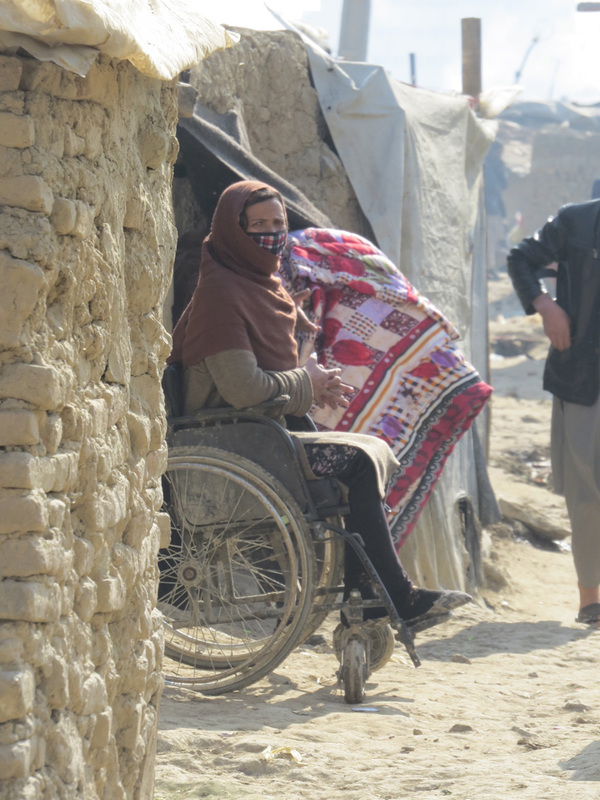 From speaking to people in Kabul camps it seems that once you land there it’s more or less impossible to get out, and they are your long-term-to-permanent future. 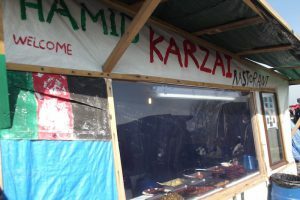 There are, of course, also a calculated 2 million Afghans seeking refuge outside the country, making up the second biggest ethnicity of refugees in Europe, and many of their futures will lie in the desperate camps around Kabul, as most European countries (10) have judged Kabul a ‘safe’ location for deportation, despite the fact that many refugees have never visited Kabul, and have no family or friends in the city. My visits to Afghanistan have always been to Kabul, as for a foreigner to venture outside the city would be extremely dangerous. Even for an Afghan it’s deadly dangerous: my friends describe it as the ‘Wild West’ with vehicles regularly stopped by the Taliban, people asked for ID and sometimes executed if found to have connections with foreigners. One of my young Afghan friends Zahra watched her friends’ execution after their bus was stopped by the Taliban in Kandahar. Four of her friends, all aged eighteen, had made the mistake of travelling with their student ID cards on them. Today Zahra struggles with depression, trying desperately to erase the memory of witnessing the roadside end of her classmates. All of my Afghan friends exhibit some sort of behaviour ‘issue’ whether that’s throwing things at walls, or ripping up clothing, or falling prey to fits of rage, depression, detachment. Pretty much everyone in Afghanistan has directly lost a family member during the last 38 years of war. Last year my friend Ali lost his older brother: a police officer in Kandahar who fell victim to an IED. Then there’s 15 year old street-kid Habib, the main bread winner of his family after his father was killed, six years back, in a sectarian-based attack on a Shia mosque.Researchers calculate that for every one of these direct casualties of war, another 4 Afghans die due to indirect war causes such as hunger, disease and injury (11). 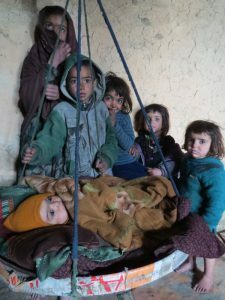 Just the other week, one of the main co-ordinators of the group unexpectedly lost his 4 month old son: today Afghanistan has the second-highest infant mortality rate in the world (12). 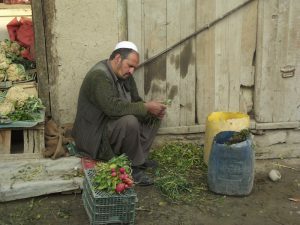 Everyone in Afghanistan has experienced loss, everyone lives close to death, the feeling of deep depression is evident in the faces of all people, mental health statistics are staggering, it is calculated that 68% of the population suffer from depression, 72% from anxiety and 42% from post-traumatic stress disorders (13). The other week I chatted via Viber to 11-year-old street-kid Inam who polishes shoes for a living. He and his friends sometime call me on a Sunday morning to practice their English: we normally talk about our favourite fruits and vegetables. 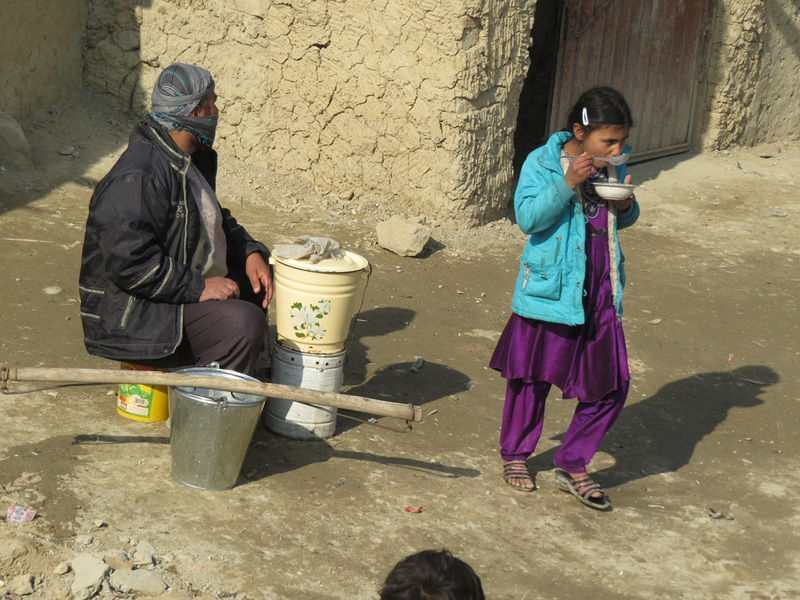 Last Sunday their teacher explained that Inam’s water well had dried up, now a common problem in Kabul and across Afghanistan where only 27% of the population can access clean water (14). Today in Kabul the wells are having to be drilled an extra 40 metres deep to reach a dropping water table (15), with the water crisis about to worsen with a Chinese copper mine north of Kabul having recently opened: water in great quantities is a must of the mining process (16). Much more foreign mining will almost certainly follow, with a geological study having calculated that Afghanistan has an estimated $3 trillion worth of precious materials to be mined (17). It’s deeply ironic that one of the poorest countries in the world has such potential riches. Afghans that I speak to are doubtful that they will see any of that wealth. 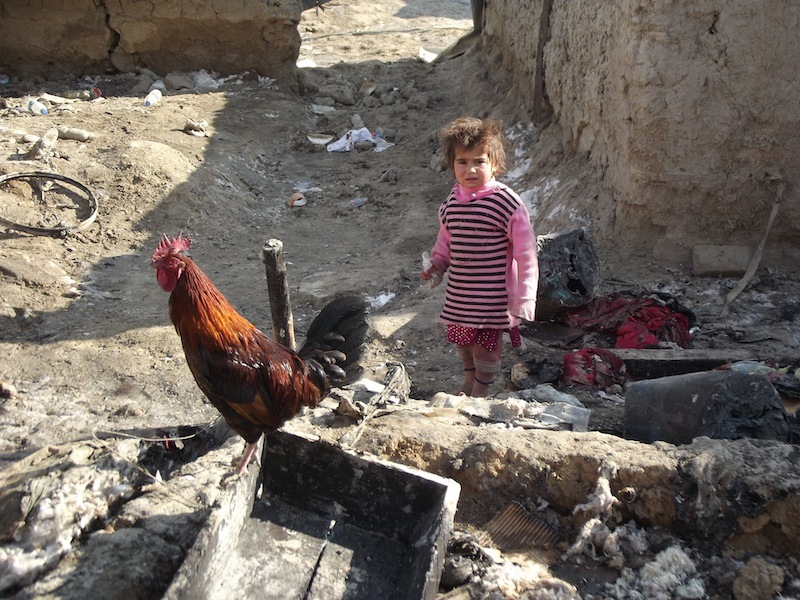 It is calculated that 36% of Afghans are currently living below the poverty line (18). 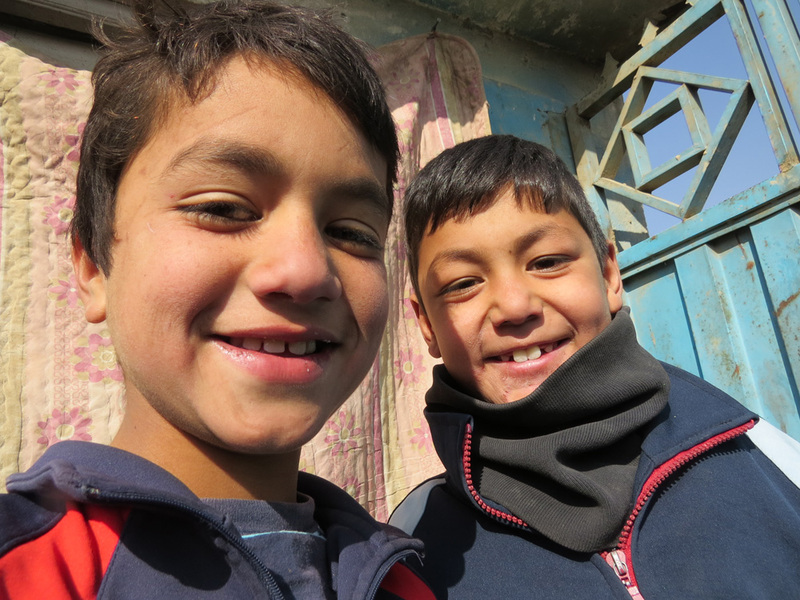 During my last visit to Kabul, made earlier this year, I chatted to my young friend Gul, who faces, with an absent father, a high expectation of being the family breadwinner at age 17 for a family of 6 younger siblings. He asked me for advice, “Should I leave Afghanistan for Europe? What is there for me in this country, there is no work, the streets are dangerous even for walking, my life will amount to nothing if I stay.” I really didn’t know what to say to him, I shared with him what I do know, that the journey to Europe is extremely dangerous, that many people die en route, and that today the EU (19) and the UK (20) deem Kabul a ‘safe’ location to which to deport Afghans, so that even if you do make it to Europe there’s every chance of just being deported back again … I felt deeply compromised answering his question, as in reality there is very little for people in Afghanistan. In relation to women generally, very small gains have been made in the last 16 years. 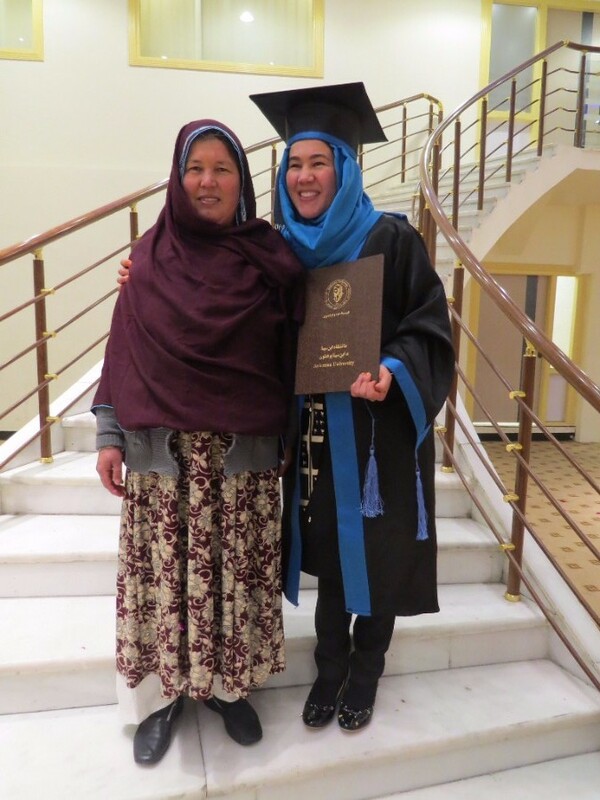 Certainly I have met women in Kabul who say their lives have been greatly improved since the removal of the Taliban, but these women have largely been middle-class professionals, those in academia and the NGO world. Without a doubt those women would not have been able to have had professional jobs under the Taliban. 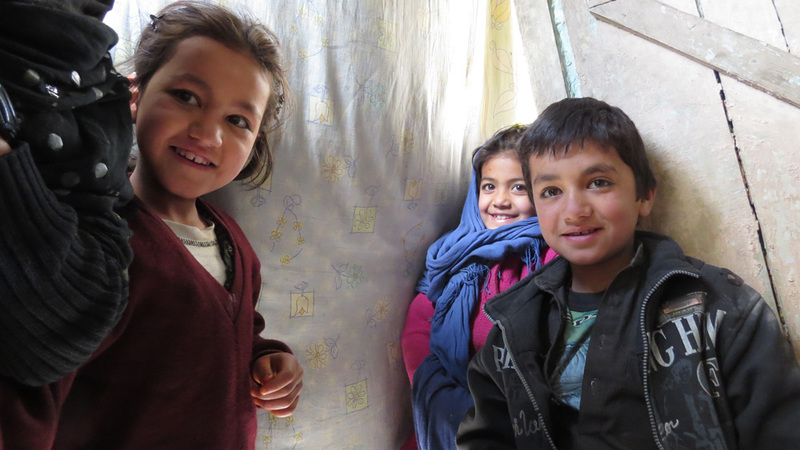 And there have been gains for girls in Kabul who, with the consent of family, are generally able to access schools (unless they’re street kids or refugees). 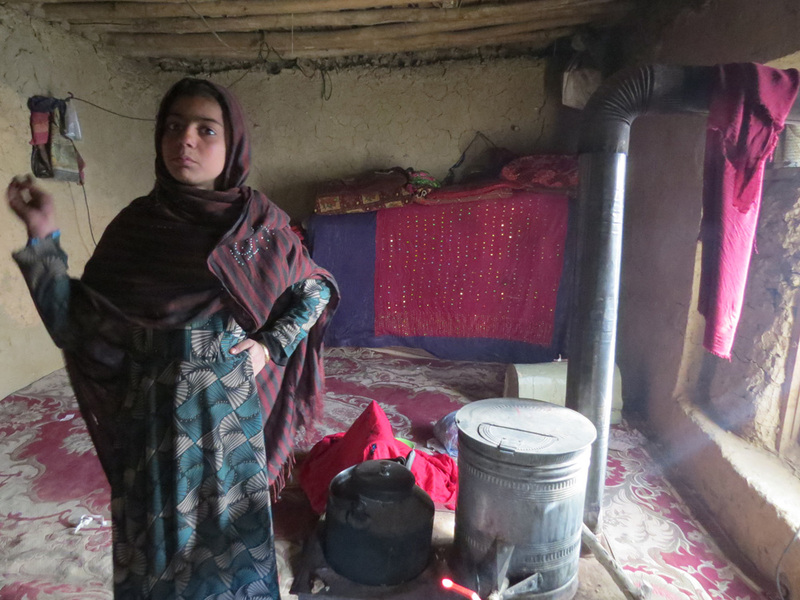 However, for girls living outside of Kabul, in the rural provinces, very few enjoy the chance to attend school with a current estimate of 1,100 Afghan children dropping out of school every day (21). 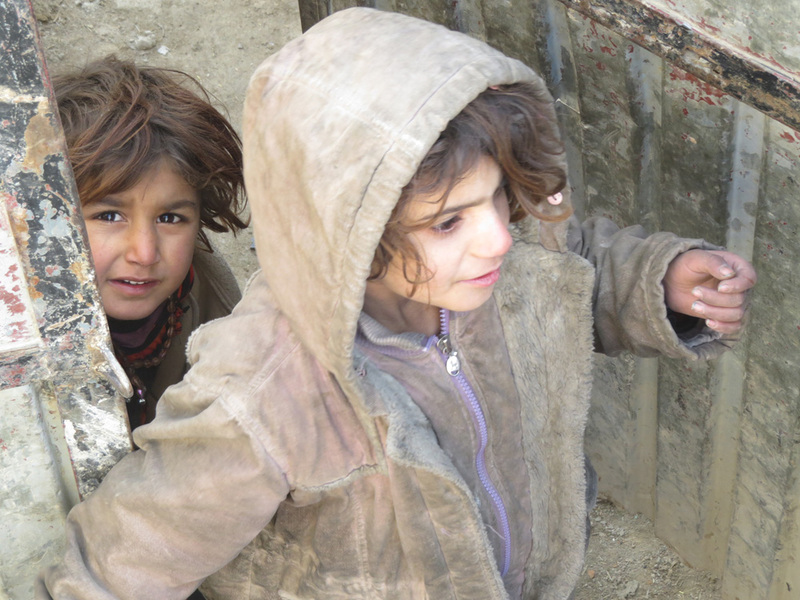 Instability within the country means it’s unsafe for many children to attend school, or they must work to support the family: at least a quarter of Afghan children are engaged in child labour (22). Then there’s the 2009 “Elimination of Violence Against Women Act” which is still struggling to be passed, though in 2015 the Supreme Court banned the imprisonment of women for running away from their husbands, with the caveat that if a woman does leave her husband she must go to a medical provider, the police, or the house of a close male relative (23). None of those locations are ideal for a woman trying to escape domestic violence. 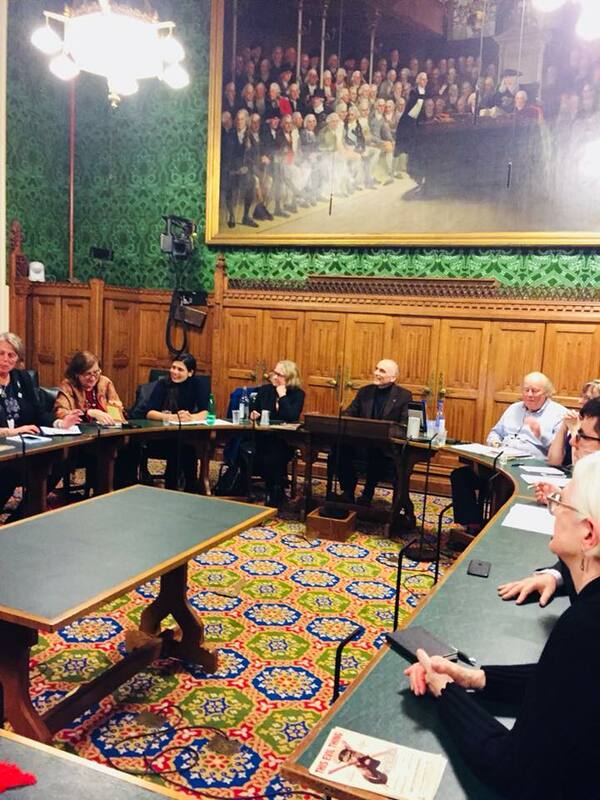 When I speak with Afghan women’s rights activists they all share the opinion that war makes it difficult-to-impossible for women to organise and promote equality, as priority must be given to keeping themselves and their families alive. To be an Afghan today is to be stuck between a rock and a hard place. On one side you have the Taliban, and now IS, using IEDs, suicide bombs and pressure plate devices, and on the other side you have Government forces and illegal militias who employ rockets and mortars. All of these weapons are devastating for civilians; and more often than not, civilians are caught up in the fighting. The last UNAMA report published in July 2017 calculated 1,662 civilians killed in the first 6 months of the year with 3,581 injured, and of those killed 174 were women and 436 were children, a 23% and 19% increase respectively from the previous year (24). UN figures show that since January 2009 more than 26,500 civilians have been killed and 49,000 injured as a result of conflict, while the “Cost of War” project says an overall conservative estimate of Afghans killed since 2001 is 217,000 (25). It’s reported that both sides in the conflict have attacked hospitals and healthcare facilities: in February 2016 Afghan Special Forces raided a health clinic run by a Swedish humanitarian organisation (26), attacking medical staff and shooting three patients dead. In September 2016 the Taliban dressed as doctors and attacked a hospital in Kandahar city killing one civilian (27). And then there’s the well-publicised US bombing of the MSF hospital in Kunduz, killing 42 civilians (28), an incident still under investigation which is being described as a ‘war crime’. Last August President Trump stated in a speech that his intentions in Afghanistan were “not nation building again, we are killing terrorists.” The Pentagon has deployed a further 3,900 US troops to bolster up the 8,400 already in the country alongside 13,000 NATO troops, a redeployment which comes just months after the US dropped the ‘mother of all bombs’ on Nangarhar Province, one of the poorest regions in one of the poorest countries in the world. 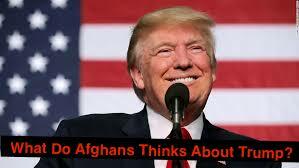 Donald Trump’s speech and recent tactics suggest that the US will employ more aerial bombing in its fight against the ever-strong Taliban and the increasingly influential IS. Again, aerial bombing is devastating for civilians stuck between a rock and a hard place: with so much of Europe closing its borders, there is simply nowhere for them to go. 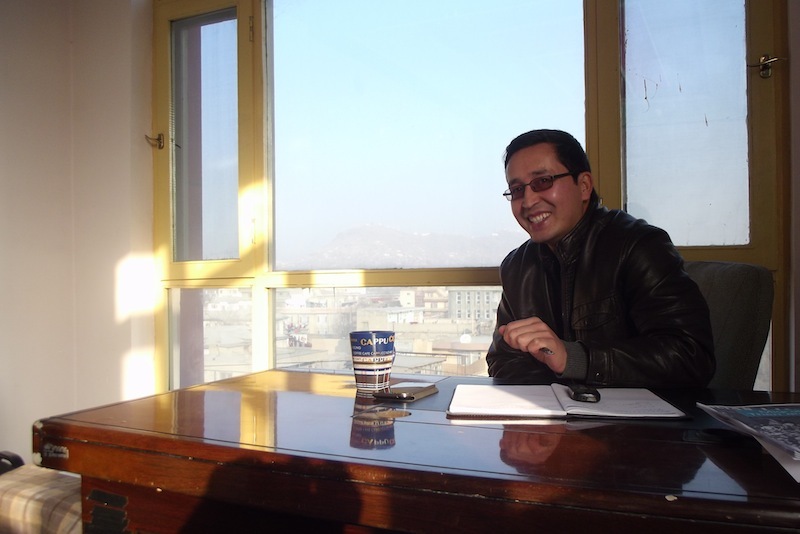 When I first visited Kabul in 2011, I thought it was a city on its knees. It had endured decades of war, starting with the Russians in 1979, followed by the Mujahideen civil war, crushing brutality under the Taliban and then the US/NATO invasion. At the start of ‘Enduring Freedom’ in 2001, the population of Kabul was 1.5 million. Today, with 13 refugee camps inside the city, its population stands at 5 million. 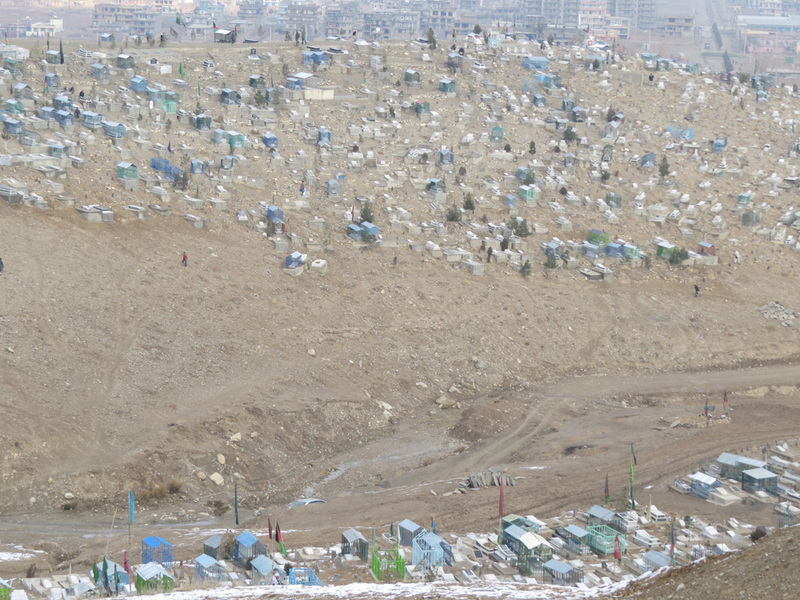 Kabul’s already basic infrastructure, hugely stressed, can’t cope with an increased population. Recently referred to as the ‘Kabubble’, because it escaped direct fighting between the Taliban and foreign troops, the city viewed from high above can appear like a buzzing metropolis – racy, almost seductive from a distance, cars dodging around each other, a hive of activity under a thick fug of tan dust. But back on the streets, you realise why Afghanistan has become one of the most dangerous countries in the world. Each war has left its scar: bullet-riddled buildings, dilapidated Persian compounds, bombed out palaces, Communist housing and crumbling Soviet industrial buildings, fallen grandeur from the 1960s-70s peaceful hippy trail days. Potable water is increasingly difficult to access, burning rubbish for fuel stains the air and open street sewers ensure the population, daily, breathes high levels of faecal matter. Attacks by the Taliban and IS are now weekly. The Kabubble has expanded rapidly to accommodate soaring demand. At present it’s at bursting point and the prospects show little sign of relief. The number of Afghans being deported back to Afghanistan has massively increased in the last year with many European countries deeming Kabul as a safe location for returnees – a policy based on the NATO narrative that post-2014 Afghanistan is ‘mission complete’. That line is hardly feasible, but since the country has dropped out of western media, most don’t hear about the weekly attacks within Kabul which normally claim between 20 and 70 lives. The most recent was an ISIS attack on a military hospital claiming the lives of 49 children, women, men and staff. As with many Iraqis today, many Afghans now half look back at life under a brutal authoritarian regime as a time which at least had stability. In October 2016, the EU signed a deal with the Afghan Government obliging them to accept unlimited numbers of Afghan asylum seekers. A leaked memo suggested stripping Afghanistan of its aid if the government did not cooperate. Afghans constitute the second- largest group of asylum seekers in Europe, with 196,170 applying last year. 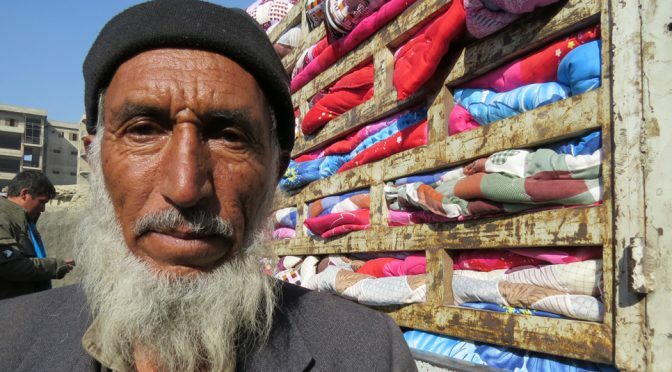 Meanwhile neighbouring countries, Pakistan and Iran, have announced plans to remove Afghan refugees from within their borders, and estimates put that population at around 3 million. All will be returned to Kabul, a city which at best is crawling along. 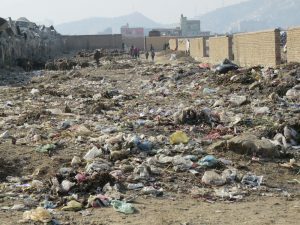 To visit a Kabul refugee camp was one of the most extreme experiences of my life – crippling poverty, streams of open sewers, limited access to clean water, stoves fuelled by plastic and very little chance of escape. The camps are by no means a stop-gap for the 1.2 million internally displaced. 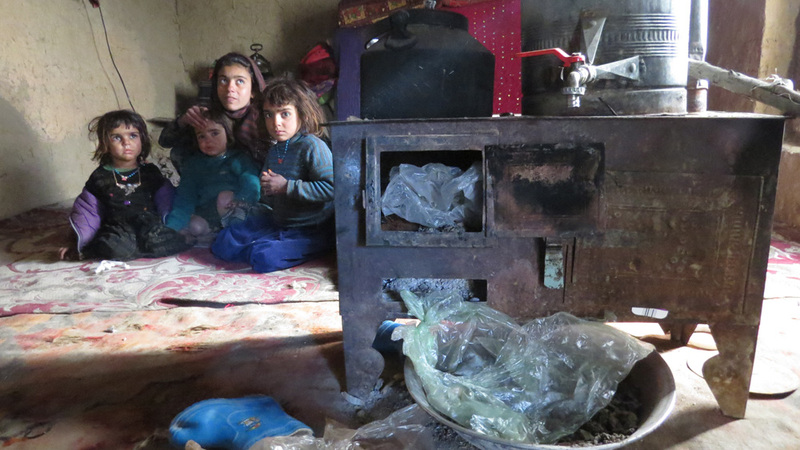 As Afghanistan heads towards a fourth decade of war, the majority of Afghans have truly had enough. Those who can afford to leave do so. People have long given up on the US/NATO puppet Afghan government largely made up of those warlords who will cooperate with the international community. The Taliban are said to have gained control of 35% of the country in just over a year, and they are now being joined by ISIS which is reportedly spreading across the country while also carrying out largescale attacks within Kabul. The UN Assistance Mission in Afghanistan recently reported an increase in casualties, with 3,498 civilians killed and 7,920 wounded in 2016. Severe poverty almost automatically creates high crime. For Afghanistan, within a decade, 7% of the population has become addicted to opium; warlords profit from this condition. The Afghan people have nowhere to go. They are trapped between a rock and a hard place. Foreign immigration policies don’t take responsibility for the repercussions of their bombs which leave families bereaved, homeless and displaced. The ‘Kabubble’ which is expected to receive a flood of refugees is already bursting. Peace is still a long way off. 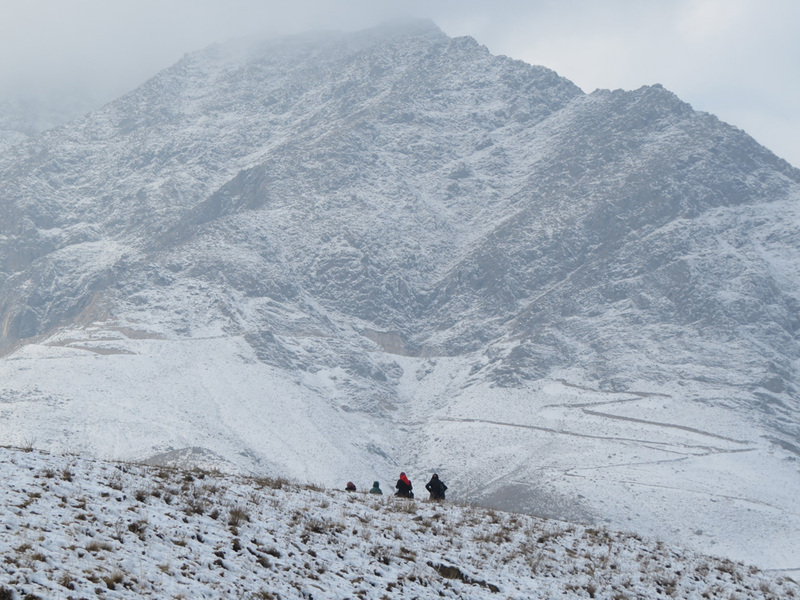 Kabul: central Asia’s best kept secret. Kabul must have quite a draw given the millions of people its way headed. The secret is of course that almost none of them are travelling by choice. The UK government has fought hard to be able to deport failed Afghan asylum seekers, and now regularly charters flights to expedite the process. The Afghan government pleaded with the UK not to resume deportation; human rights organisations protested; the UN and World Bank said it would further destabilise the country; but the Home Office cheerfully began enforcing departures in March 2016. Part of the basis is that, while the rest of the country is riven with increasing violence from the Taliban and Islamic State, Kabul is safe. Safe enough to deport you even if you have no family or friends here; safe enough even if you’re not from within 500 miles of the capital; safe enough even if you’ve only just turned 18 with no experience surviving in Kabul. 2,018 young people who arrived in the UK as child asylum seekers have been deported to Afghanistan since 2007. But Kabul is safer than the rest of Afghanistan the way the frying pan is safer than the fire. Attacks and intimidation in the capital are frequent. Abdul Ghafoor, who runs Afghan Migrants Advice and Support Organisation (AMASO), told us “It’s not a suitable time to deport this number of Asylum Seekers back to Afghanistan. In this city, even day-to-day decisions like whether to attend a friend’s graduation ceremony or Friday prayers become a security question. Nationally, the war has worsened with 3,498 civilians killed in 2016 according to UNAMA. There’s no economic security either. There’s already sky-high unemployment and more vulnerable people than can be supported. It’s not that the people in Kabul aren’t resilient; just to survive here takes more strength than I have. 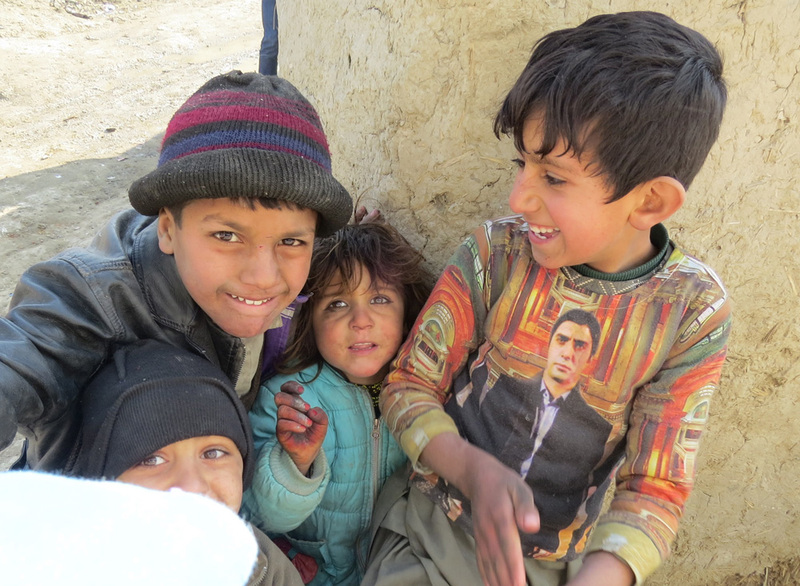 The Afghan Peace Volunteers themselves support hundreds of street children and poor families battling the odds. But Kabul is a city of 1.5 million now accommodating 5 million people. 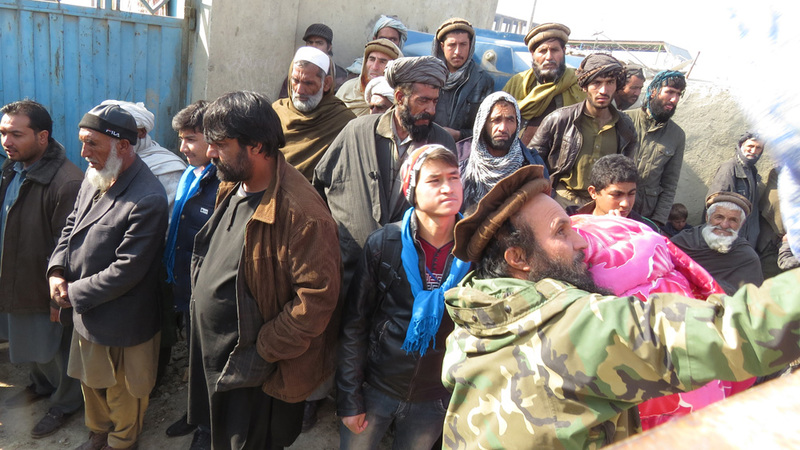 Meanwhile, more than a million refugees from neighbouring countries are being sent back to Afghanistan. 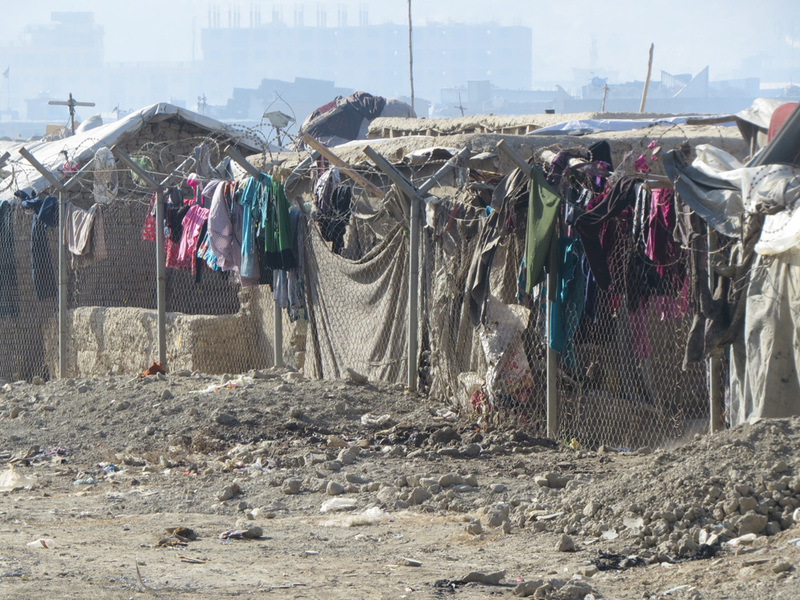 On top of this, in 13 camps around the city there are 1.5 million Afghan civilians displaced by violence. 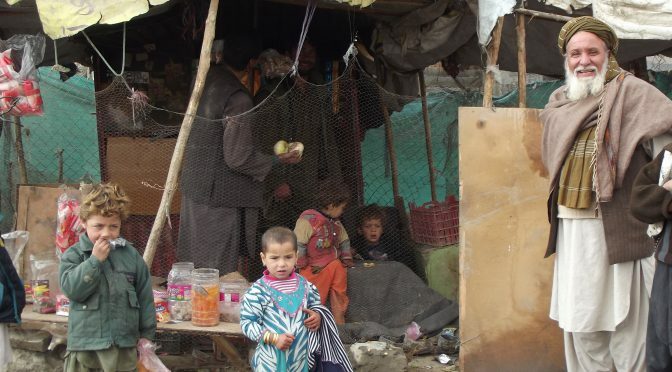 Amnesty International describe many thousands “in makeshift shelters, where overcrowding, poor hygiene and harsh weather conditions” lead to widespread disease. Many have died in the cold this winter. It is to this poor excuse for a haven that Europe is set to deport a further 80,000 people. 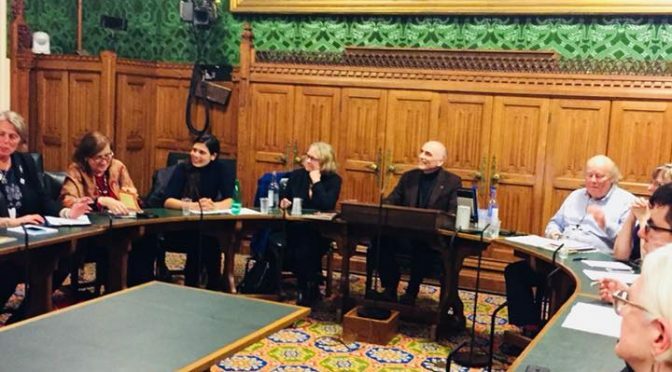 Abdul calls the deportation policy a “lose-lose situation” because European countries are spending millions to force out asylum seekers who, when confronted with the danger and vulnerability of life in Kabul, will migrate again despite the risks of making the journey. At the knock-down rate of $4,000, you entrust your life to traffickers to get you over land and sea to get somewhere safer, even if only a little. Abdul described to us the abuse, enslavement and death such a journey risks, telling you all you need to know about how desperate you’d need to be. In addition to the counsel and support AMASO offers, Abdul’s running a safe house for recent deportees to Kabul, but keeping up with the influx looks set to be impossible. While in Kabul, February 2017, Donald Trump was making moves to enforce his ‘travel ban’ on Muslims. 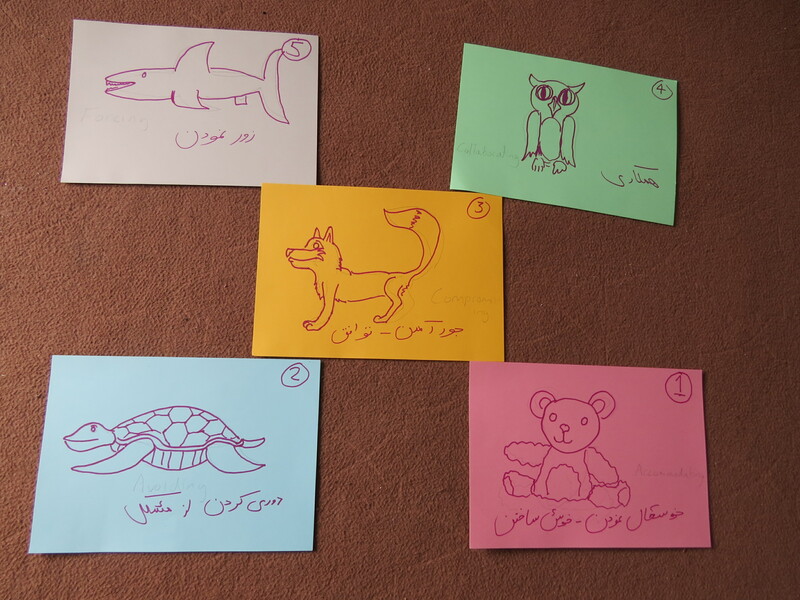 We asked some Afghan young people their thoughts on this…. 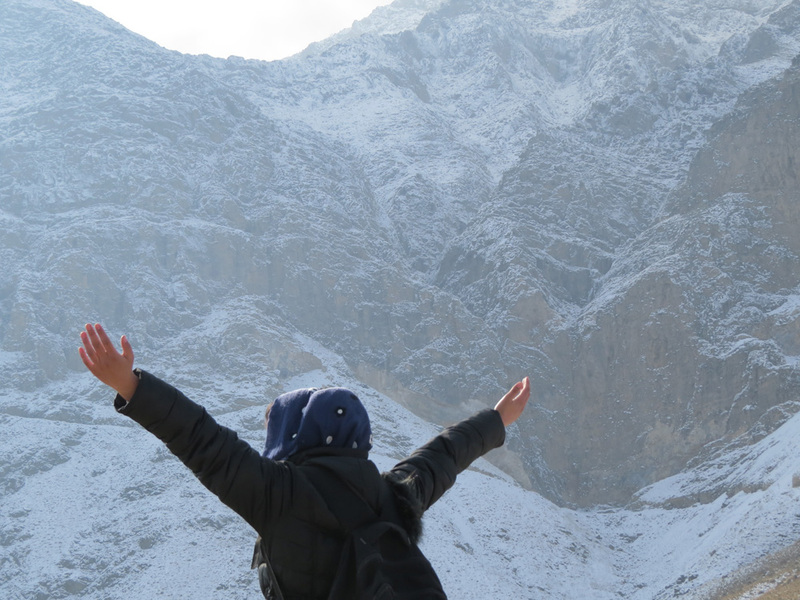 Afghan Peace Volunteers are doing something incredible. They are uniting for nonviolence in a country where the voices in power- the Taliban, their own government, the USA- tell them fighting is the answer. In a society riven by abuses of power, they make decisions together. They overcome long held mistrust to bring together young people of different ethnic backgrounds, whether to tackle poverty, educate street children, play football or a dozen other projects for equality, peace and sustainability. But the challenges of peacebuilding are never over. Living and working together so closely, conflict is a necessary part of life for these young people. Who should join which committee? How should the ethnicities be divided between the football teams? What about when women are excluded from an activity? The APV Conflict Resolution Team have been running workshops with their peers this week. They plan to offer a mediation service and to engage other youth in alternatives to violence. I’m learning a lot too. Conflict is universal, but our ways of dealing with it are like the colours of the rainbow. 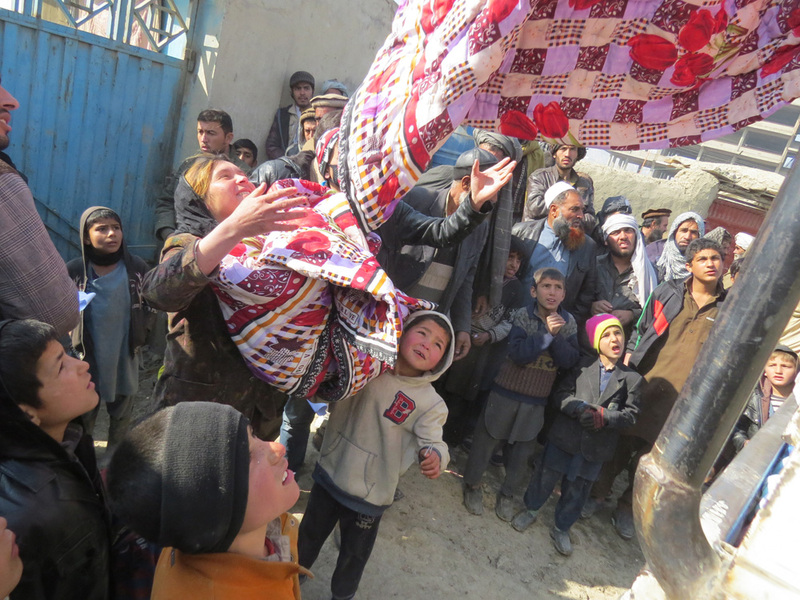 The “Afghan” in the APV name doesn’t just tell you where they are; it signifies the rich heritage that they can draw on when dealing with conflict. 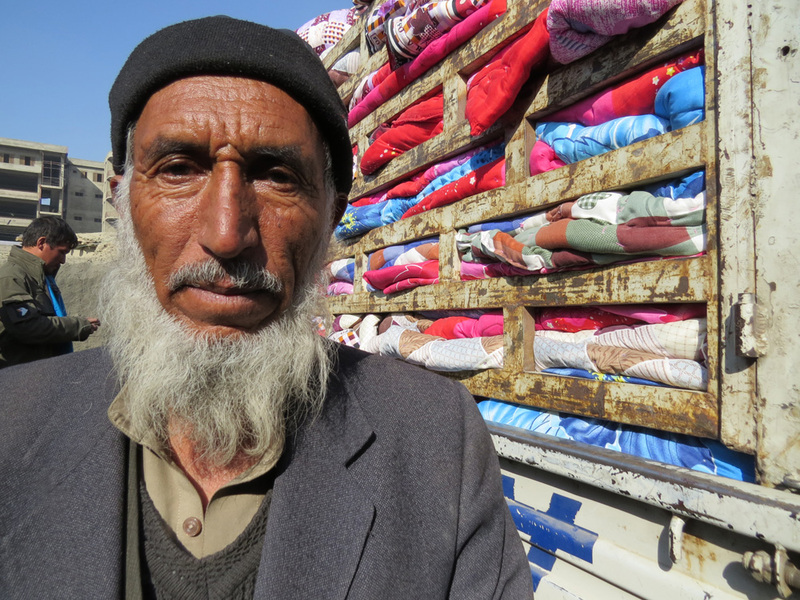 For an Afghan, you don’t enter conflict merely as an individual. Far more than in UK culture, you carry with you the responsibility to your group, be it your family, ethnic community, perhaps your gang. This loyalty is a real strength and source of resilience in a society where people have depended on one another to survive decades of war. Whether we’re talking about physical or mental suffering, poverty, or conflict, knowing you have a group who will be there for you is a source of strength. It contrasts favourably with Western individualism at its worst, which presumes everyone will prioritise her or his own needs whatever the cost to others. Equally, this responsibility to your group carries pressure and dilemmas. For example, perhaps you’ve had an argument you regret with someone from a different group; if you accept your wrongdoing in the conflict, you’re not just accepting it for yourself: you are bringing that guilt upon your group. Your group might not welcome that! But if the conflict escalates, your whole group lives with that danger. And if the conflict is within your group, asserting your personal needs may look disloyal. More than that, it says to your group that it has failed to meet your needs, a source of shame. Many people’s needs are being accounted for in this equation. In our sessions we’ve explored “conflict styles” based on how assertively and how cooperatively you behave. 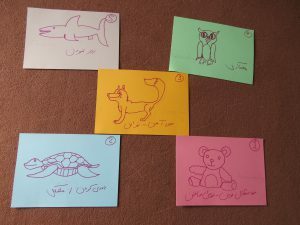 Afghans, perhaps in a spirit of self-preservation, say they tend towards either avoiding conflict altogether (like a turtle), or going to the other extreme and to force their point (like a shark). Entering into equitable dialogue, where both parties’ needs are heard, is a high-stakes undertaking. When you do, you are likely to involve your whole group: your whole family or community. Everyone has a stake in the conflict. 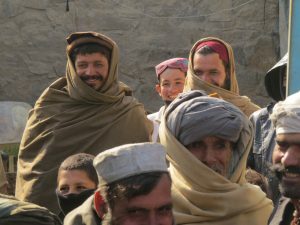 Traditional Pashtun practices like the Jirga take this all-in format. It’s like playing spindle sticks: move one part and everything shifts. It contrasts with the Western hue of conflict resolution in which individual rights and responsibilities are emphasised. You could look at the group versus the individual as two incompatible models, another clash of East and West. I prefer to see it as a healthy tension, different lenses which each shed more light on the problem. The APVs are doing just that. 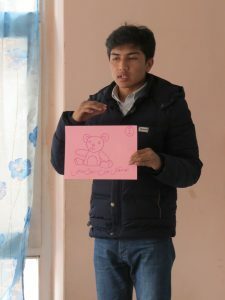 While every volunteer has a unique background, this group has built its own identity as the Afghan Peace Volunteers. Their identity is rooted in striving for nonviolent solutions together. They combine their own insight and experience with practices from their own culture and around the world. 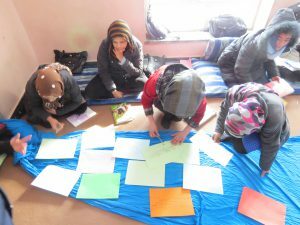 So if you want to find out about conflict resolution, Kabul is the place to be. All Trump, all the time. With a punishing, disorienting barrage of executive orders, President Trump is reversing hard fought gains made in environmental protection, health care, women’s rights, immigration policy, and nuclear weapons reduction–with even more executive orders promised. In his inaugural speech, Trump proclaimed “America First”. The U.S. does rank first in weapon sales, in mass incarceration and in producing waste material. Pope Francis urged President Trump to be first in protecting the poorest in society. But instead, President Trump has surrounded himself with generals and billionaires in cabinet level positions. It’s true; some of President Trump’s policies actually extend wrongs enacted by previous administrations. Other presidents and their spokespersons have championed an escalating war on the global poor under the pretenses of humanitarianism and democracy. They wore “masks” that were easier for many in the U.S. to look at and accept, and yet their policies caused terrible bloodshed, starvation and death. A widespread drone war, annihilating civilians from the air, is an example of a brutal rightward turn which some liberals accepted. Was drone proliferation seen as an improvement on previous means of warfare because it was presented in an articulate, professorial tone? During a previous Democrat administration I recall protesting brutal economic sanctions which, halfway through their eleven-year reign, had contributed directly to the deaths of hundreds of thousands of Iraqi children aged four years or younger. The antiwar movement tends to demobilize when a well-spoken Democrat is in office. Trump’s victory hinged on the Democrats’ refusal to offer more than token resistance to militarism and rising inequality. To successfully organize against Trumpism, we must move toward making actual changes in the lives of those who are most vulnerable and unprotected, especially among the poorest people in our societies. Dr. Martin Luther King discussed the “giant evil triplets” of racism, militarism and income inequality. He assured us none of these can possibly be conquered alone. As protests erupt against the policies of Donald Trump it is valid to question what is “style” and what is “substance”. How can the energy generated by these actions be channeled into functioning and effective resistance? Trump’s executive orders have already escalated our government’s commitment to inequality well beyond what Hillary Clinton would ever have likely attempted. His cabinet appointments suggest he will rival or exceed her in militarism. We must cut through the fog and recognize our collective responsibilities. There are numerous ways to turn the energy of protests into daily action, but they all involve organizing, not against a hated political figure, but against policies which must be successfully reversed. One example is war tax refusal. My own decision, made and held since 1980, is never to pay federal income tax to the U.S. government. Our leaders depend on taxes to continue their destructive campaigns. Monies not forwarded to the government can be redirected to causes in support of peace, victimized communities and the poor. 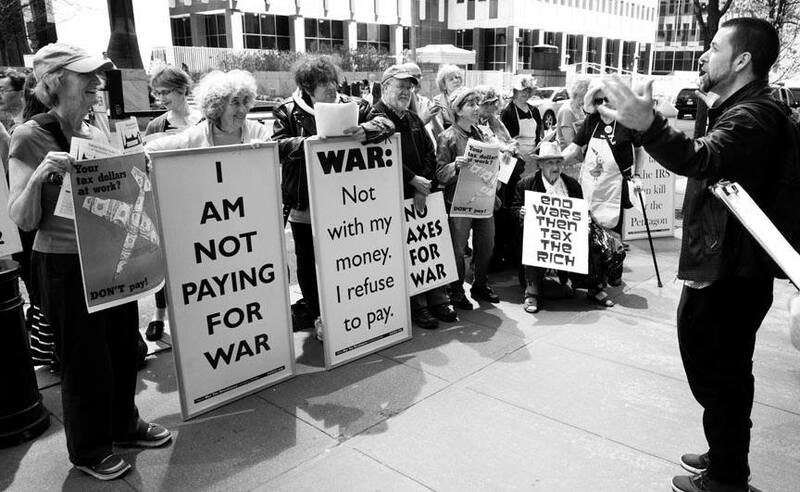 The National War Tax Resistance Coordinating Committee (NWTRCC) is an organization that encourages interested parties to nonviolently oppose taxation for war. This group links to grassroots communities and may provide the basis for additional refusals of cooperation. 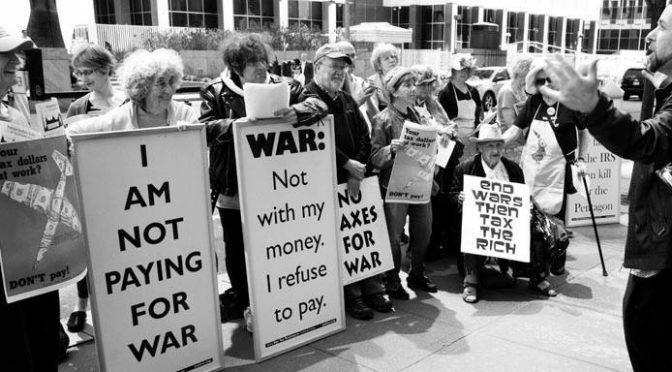 Anticipating resurgent interest in refusal to pay for abhorrent, discriminatory policies, a group of war tax refusers approached NWTRCC with the idea of encouraging people to consider war tax resistance by contacting the network. Their “call,” posted on the NWTRCC website, is signed by a growing list now numbering over 120 people. Essentially, we can’t afford Trumpism and we can’t afford alternatives to Trumpism that were rejected in the last election. We need to reject Trump’s executive orders in substance as well as style, living more simply so that others may simply live. War tax refusal is a small gesture in that direction, quieter than a march but potentially meaningful. It gives us a chance to align our lives with our deepest values and welcome kindred spirits to join us. Kathy Kelly (Kathy@vcnv.org) co-coordinates Voices for Creative Nonviolence (www.vcnv.org) and has relied on NWTRCC (nwtrcc.org) since 1980 when she first began refusing to pay all forms of federal income tax. a hurry to do what, to accomplish what? and graves previously and newly dug for grieving families. “Alive! The mountain is living,” they both replied. to extract, exploit and kill on her watch. was one way in which Mexican activists coped. a celebration of the previous day’s trickle of snow. and wondering if the mountains had something for our uncertain steps. 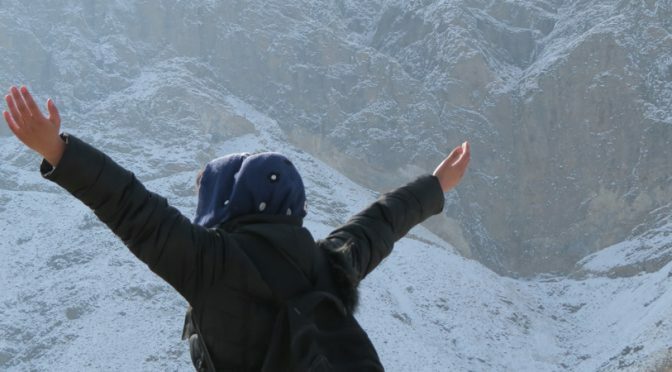 I was living amidst the mountains of Bamiyan. that he dug several graves every day. probably to use as fuel. the earth holds us, receives us and sustains life. drawing us into their hems, folds and decisiveness. the human-driven pollution of self-harm. 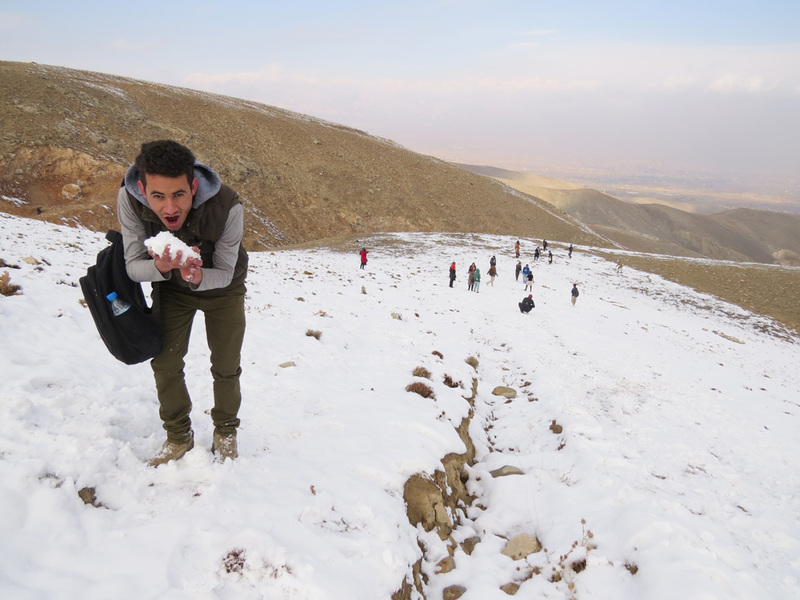 snow that provides Afghanistan with most of its water. we’re not as solid as we think we are. numb and alive, not shy about the horrors she had survived. to not seek refuge from weapons the powers produce? “And now? We eat little scraps found on the streets. no nursery rhymes, no birthday candles, no photo albums. are successfully destroying everything children dream of. like the boy I saw on the road to the refugee camp. He was burning incense in a black tin while asking for a few Afghanis. He was really asking for bread. and returnees from Pakistan and Iran. in air so polluted they can’t see the stars. as if their address was not ‘Mother Earth’? There was a noisy sense that their souls will never be heard. and habitually gobble up advertisements and stuff. was an orchestrated taunt, a haunt. “Several strongmen came to chase us away from this land. They shot and killed my son for resisting. it was not the first son he had lost in a year. And the journalist may have been threatened or killed afterwards. to shatter all the best values we long for. We don’t spare children either. despite being misconstrued as potential ‘troublemakers’. to deny them the right to food, water, shelter, safety from death. were emotions too recent to be assuaged. that decide on the same old, same old. how could we miss the plight of 65 million refugees worldwide? What surrounds these 700 refugee families? and an internet that still can’t relate with the mass human condition. from love which can transform fury. From London to Kabul to Raveloe, we cling to our ‘way of life’ even though it makes us sick, obsessive and lonely. Governments cling to policies that cause harm to ordinary people. In this article, begun while staying in Kabul, Henrietta Cullinan asks what George Elliott’s Silas Marner has to tell us about our own ‘pile of gold’. I recently travelled to Kabul, where I teamed up with the Afghan Peace Volunteers and Kathy Kelly of Voices for Creative Nonviolence. I took with me, to read under the covers when I couldn’t sleep, Silas Marner by George Elliott. Marner, estranged from his home town, sets up as a weaver in the small village of Raveloe. Through weaving he accumulates a pile of gold coins which he counts obsessively every night, until one day it is stolen. The plot turns when he adopts a small girl, the daughter of a drug addict, who wanders into his house. He mistakes her gold curls for his gold coins, miraculously returned to him. As he determines to look after the child he has to ask others in the community for help and so his life is transformed. 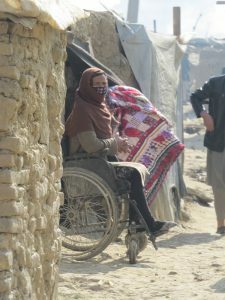 As a group of women in one Kabul refugee camp recounted their experiences of war, their injuries, the indignities they have suffered since being forced to leave their homes, Kathy Kelly asked at one point, ‘Did you know that the US has just committed 617 billion US dollars to military spending?’ The women implied by their gestures, ‘What do we care?’ One woman said, ‘I wouldn’t know the difference between one side of a dollar and the other, whether a dollar is black or white.’ It was at this moment the image of Silas Marner counting out his pile of gold coins, popped into my head. As well as a literal analogy with the ‘pile of gold coins’ devoted to military spending, there are lessons for us on western governments’ migration policies, that cause suffering amongst refugees. In Europe, chances for Afghan refugees to claim asylum have grown slim, since the EU now considers Afghanistan to be a safe country, even though there were 5,600 casualties of armed conflict in the first half of 2016 alone. The EU plans to deport 80,000 Afghan asylum seekers. At the time of writing Germany and Sweden have already started the deportations. This is at a time when Pakistan and Iran are also pressurising Afghan refugees to return. 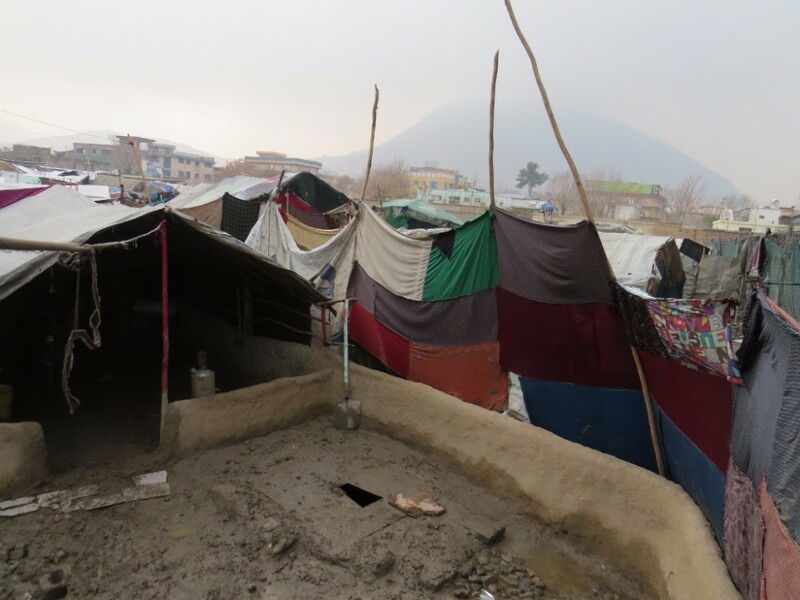 The refugees face homelessness and destitution when they return to Kabul, where there is not the infrastructure to support them. ‘A man-made humanitarian catastrophe could be the end result of these governmental policies’ writes Ahmed Rashid, a journalist in Lahore. At the Borderfree Centre in Kabul, Kathy Kelly and I spoke to Abdul Gafoor, of Afghanistan Migrants Advice and Support Organisation. He says everyday twelve deportees arrive from Norway, as a result of its cruel deportation policy. Young boys call him, not knowing where to go. Very often, as soon as they have the opportunity, they will leave again, for Pakistan or Iran. They are given $1200 from the Norwegian government, so they use this money to move on as it is too difficult for them to reintegrate. There is nothing they can do in Kabul; there is no work. 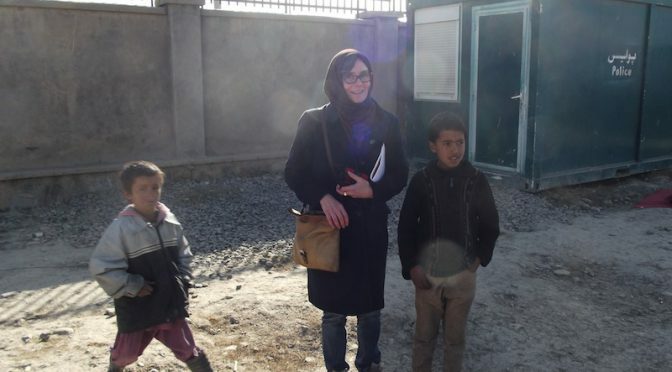 Kathy Kelly, Nematullah Ahangosh, who is an Afghan Peace Volunteer, and I visited the ‘Police Camp’ an unofficial camp for IDPs and refugees. We took a long taxi ride, through heavy morning traffic, into an area of new development, where private hospitals with tinted curtain walling and new apartment buildings, some already clad, others just slabs and columns, lined the broad, unsurfaced road. Opposite a petrol station, where gaily painted lorries were filling up, we were let out onto the edge of an open sewer, the size of a small river, its grey white waters swirling with scraps of rubbish. Salim, from the Jesuit Refugee Service, soon fetched us and led us down a narrow path between mud shacks, to a place where we took off our shoes, stepped inside a small room, with red carpet, whitewashed walls, a stove in the middle, a plastic sheet for a window. Soon the elected camp leader, Raz Mohammed, came to tell us about the camp. 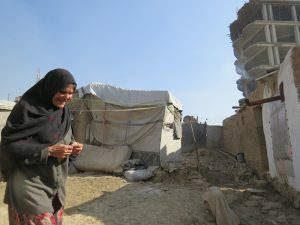 Of the 700 families resident in the camp, one third have come because of recent conflicts, such as in Kunduz in the north east of the country and one third are refugees who have been forced to return from Pakistan and Iran. 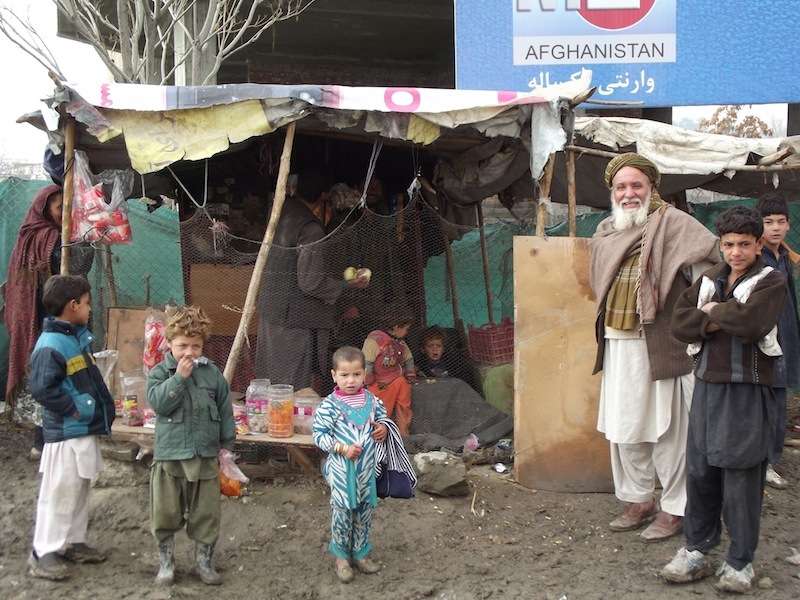 Sometimes educated people, this latter group already sold all their property when they left Afghanistan, so now they are homeless and destitute. Refugees can only earn three dollars a day. Men work as porters in the market. Other jobs include washing cars, and selling boloni, pastries stuffed with potato and spinach. 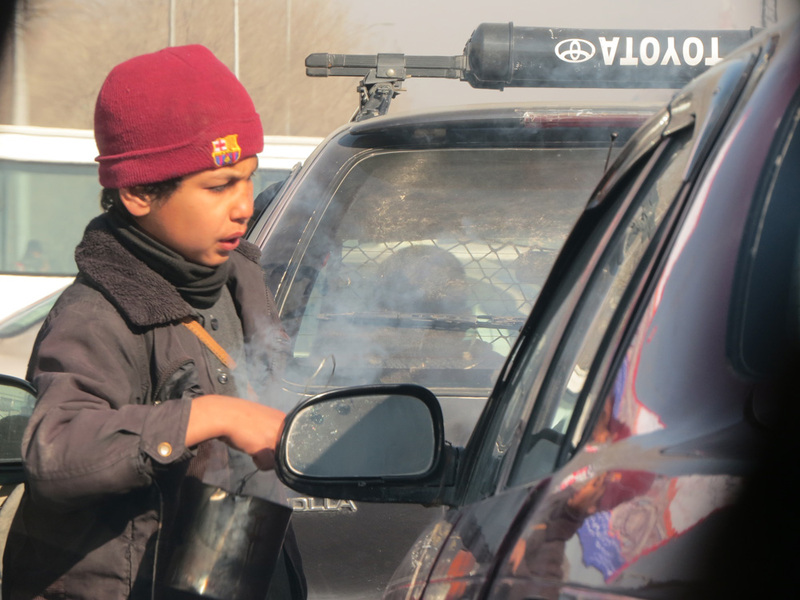 Others, despite the danger, send their children out to work in the street, cleaning shoes and windscreens or selling windscreen wipers, tissues and sweets. Those who work in the market can bring home potatoes or turnips but not enough for regular meals. The rest of the time they have only bread and tea. Some don’t even have tea. For fuel they burn plastic bottles, shoes and old clothes. Every winter twenty-five people die of cold. Water has to be bought at 10 Afs (10p) for 20 litres. On the way in we saw a single pump. Raz tells us that a woman who runs a beauty parlour noticed the women walking to buy water so she donated the pump but the water is not ‘sweet’. After speaking to Raz Mohammed we went to visit a group of women who were finishing a class. They sat round the edges of the cold classroom. A teenage daughter ran in to drop off a baby to be fed. The women told us that all ethnicities are represented at the camp. Tajiks, Uzbeks and Baluchis living together. They said they felt safe in the camp, but conditions are dangerous to health, especially in cold weather, and there is no access to health care, despite the private hospitals next door. ‘If only we had had an education we wouldn’t be in this situation,’ they said. 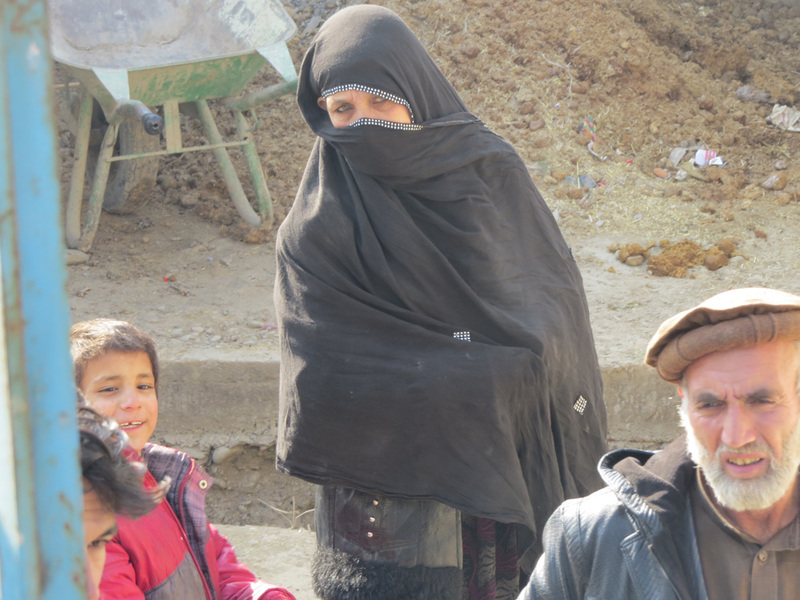 One woman, feeding her toddler under her black scarf, says she used to have a job in Kunduz. She made boloni and her husband sold them. 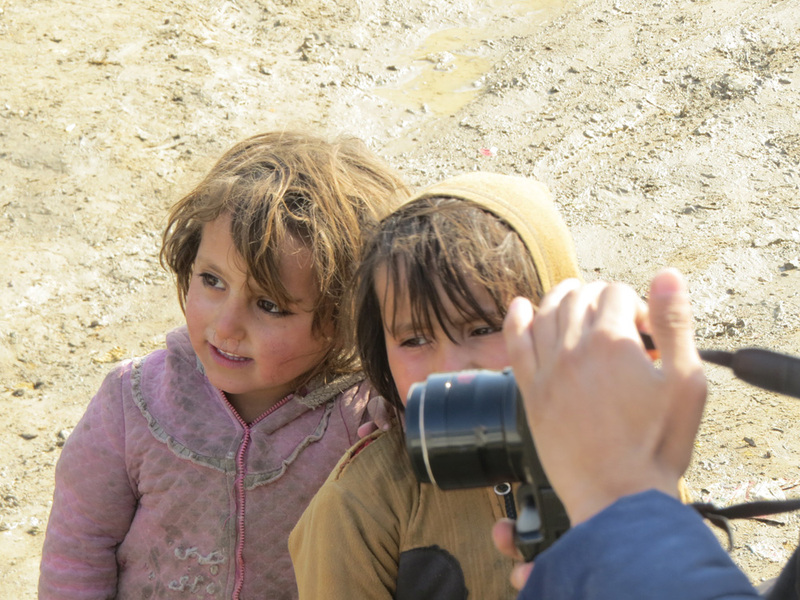 Another woman told us how she had fled from Kunduz, almost leaving her child behind. 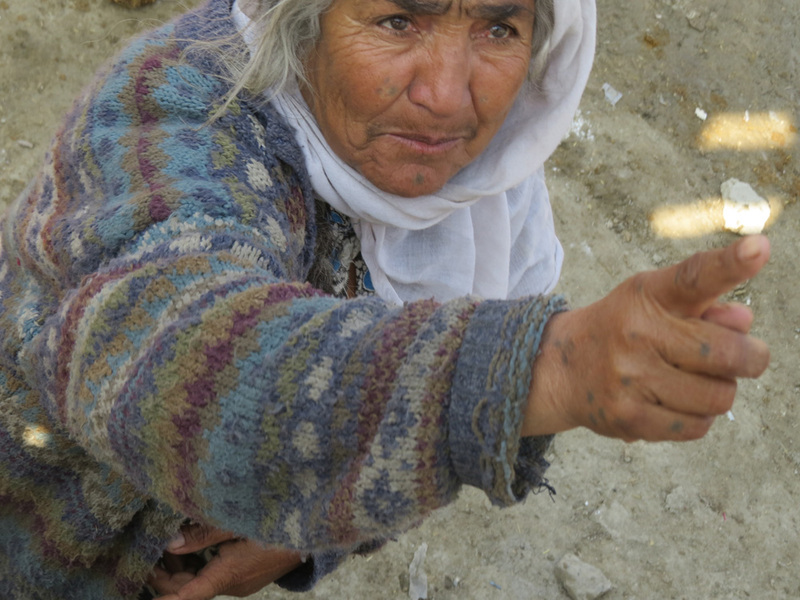 Another, from Laghman province, showed us the injuries to her upper arm she had sustained when she escaped. She said that she had no food for lunch. After the class she would cover her face and go and beg at the bakery. The leader said he gathered people together and went to the government for help. The government only provides food. He thinks they should provide education, buildings. He said the UN had been to visit the camp, even the US ambassador. But nothing has changed. Eighteen months ago, during Ramadam, the authorities attempted to clear the camp, with armed police, but the refugee inhabitants responded with stones. Another group of women I spoke to were seamstresses at the Borderfree Centre. They embroider scarves which are sold in the US and the UK to raise funds for the centre. 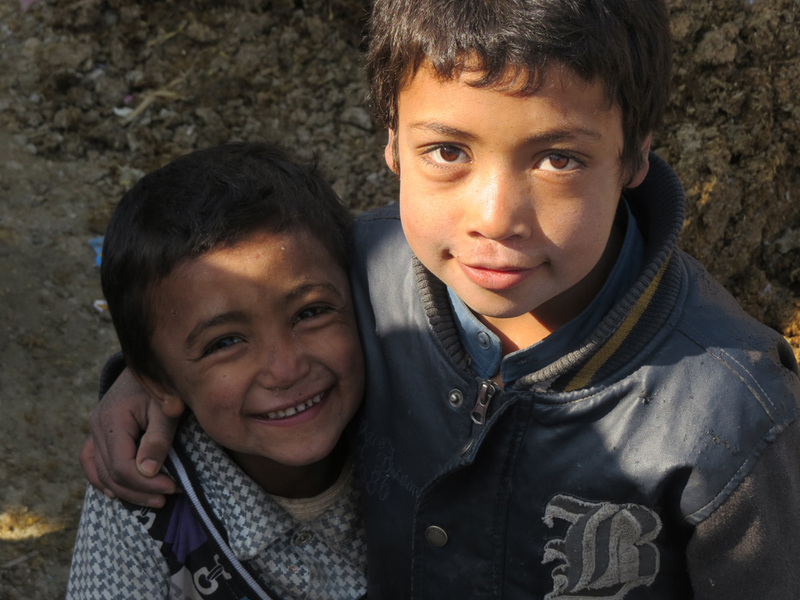 All having between five and seven children each, their main concern is to feed their families. Despite their husband’s disapproval, they have to go out to work outside the home. Even so the wages are not enough to pay the rent, to buy clothes for their children, food and books for school. 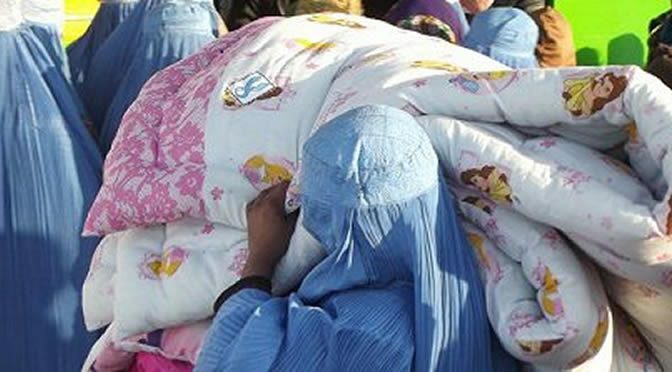 ‘The government doesn’t care about us,’ they said, echoing the words of the the women in the refugee camp. They said, ‘If you want to help, you must give money to us poor people’. The seamstresses said they saw all the huge construction projects, and concluded the government was spending money on these projects and not on alleviating the problems of the poor. Government ministers just use aid to buy each other ‘a cow or a hen’. I asked if they had any means of making their voices heard, which was translated literally I realised. They said their husbands wouldn’t like it if their voices were heard outside the home. Not able to read or write, their only option would be to join a protest. They didn’t dare go on a demonstration, they said, because the government might come after them, or there might be a bomb. Back in London this week, I did my regular shift in the local winter night shelter. Many of the homeless I encounter at the shelter suffer from poor physical and mental health, and even have mobility problems, which should be reason enough for the authorities to house them without delay. Many were caught between losing their job and waiting for benefits to come through; a gap of six weeks is enough time to lose your flat. Surprisingly some guests are actually working. Holding down a job while sleeping in a shelter must be almost impossible but one man I spoke to was doing just that. His car was parked outside, he wore the uniform of a building servicing company and over breakfast he was giving his mobile phones a last minute boost, checking the location of the first job of the day. Collectively, whether in the UK or Afghanistan, we must turn to the poorest, most helpless members of our society and learn, just as Silas Marner did, from experiencing community again. Silas Marner, once he accepts his loss and turns to another, a helpless child, builds relationships with the other members of his village community. It is when he turns to another helpless being, and becomes helpless himself, that healing begins. Our governments, and therefore we, are addicted to unsustainable policies that keep many displaced and homeless. When we accept our own weakness, our own loss and turn to look after the poorest there is hope. George Elliott also asks us to reflect on the nature of work. Silas Marner sits at his loom day in day out, even on Sundays, weaving linen for the well to do of the neighbourhood and collecting gold coins to no end other than to be counted and hidden. US taxpayers are paying nearly $700 million a week for the military in Afghanistan, money which the US government spends without attempting to avoid corruption. Reading this you might ask what do all these things have to do with each other. 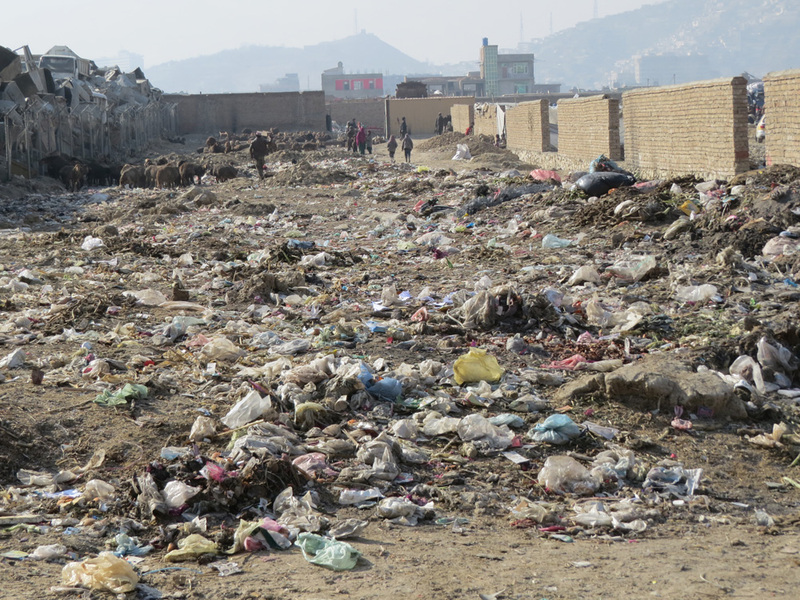 Visiting Kabul, not somewhere people normally visit for a holiday, gives a heady ride into geo politics, but mainly the opportunity to see the effect of government policymakers on the lives of the poor. You might think it odd I would use Silas Marner as a way to reflect on lessons from Afghanistan. George Elliott chose novel writing as a medium to comment on social conditions in her time and the novel has a lot to tell us now.